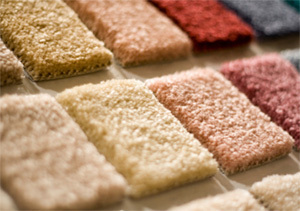 We carry a large selection of high quality carpets. For residential and commercial applications. Carpet types like berber; cut pile; sisal; wool; plush; loop pile; frieze, etc. Our carpets are available in a variety of textures and colors, so we are sure to have the carpet that suits your style, needs, and budget. Request a free estimate today, so we can show you what we have to offer. Our carpet installers have years of experience, are neat and clean, professional, and courteous. We carry all the major brands like Shaw, Mohawk, Beaulieu, Stanton, Milliken, Masland, Dixie Home, Royalty, and Couristan. If you need a custom size rug or piece of carpet, we offer in-house carpet binding at affordable prices. You will like our prices and service. Guaranteed! We install carpets in all of Massachusetts and Rhode Island.